Here are a collection of strange and interesting items I have found during my time here (on Earth). 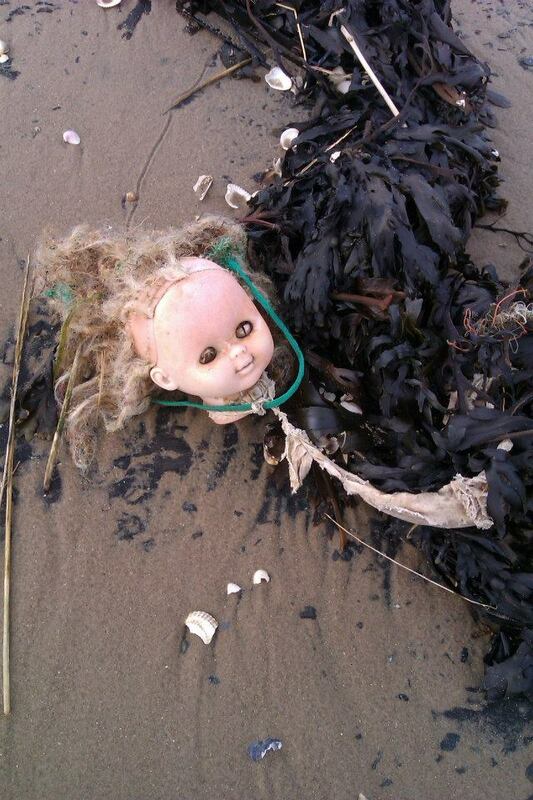 This little beauty was found washed up on Pegwell Bay in Kent, Christmas Day 2011. 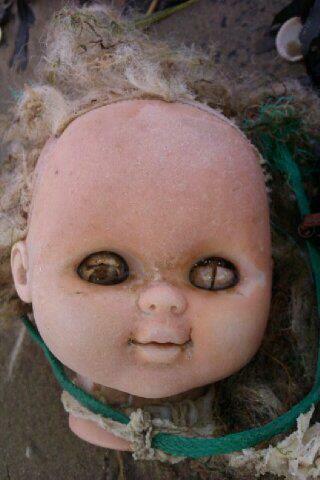 At first I thought it was a bit of old seaweed or rope, on closer inspection it was a rotting dolls head. Lovely. Myself and a friend found this on the pavement in Bow, London. 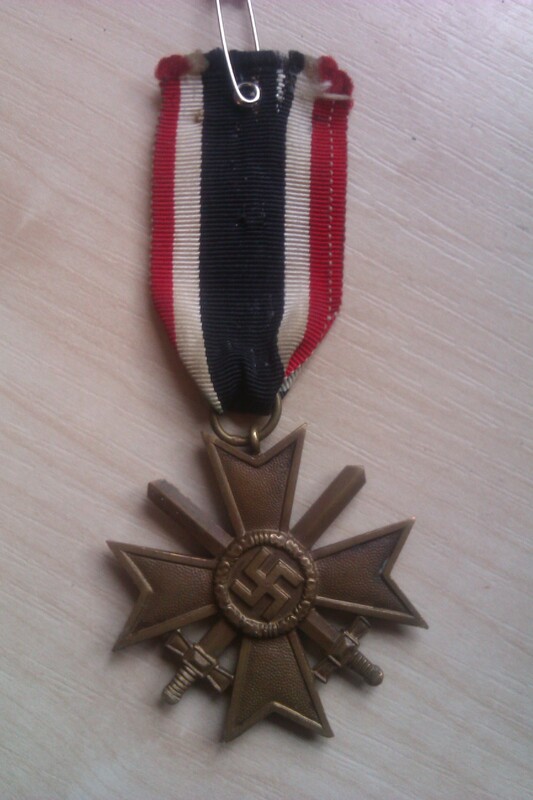 I thought it was some kind of Neo-Nazi replica, but having looked it up online, it seems to be a genuine medal. 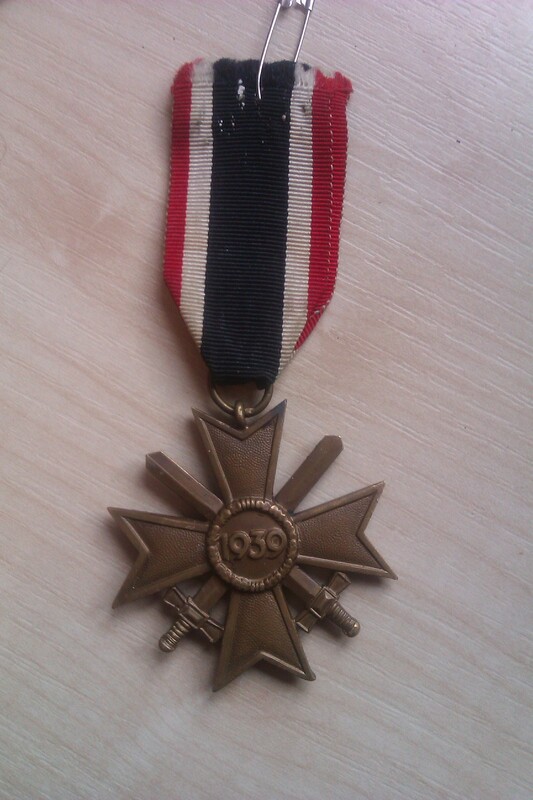 The Knights Cross of the War Merit Cross was created by Hitler in 1939 and was given to soldiers for exceptional service in battle, above and beyond the call of duty. Strange to find such an item on the streets of London, how did it get there? 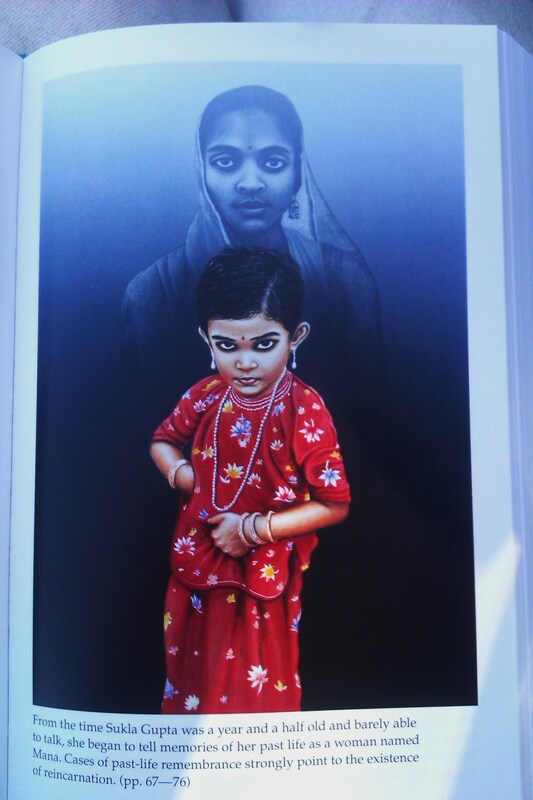 Found this spooky picture in a Hare Krishna book. It’s meant to show a young girl and the image of her past life looming behind her. 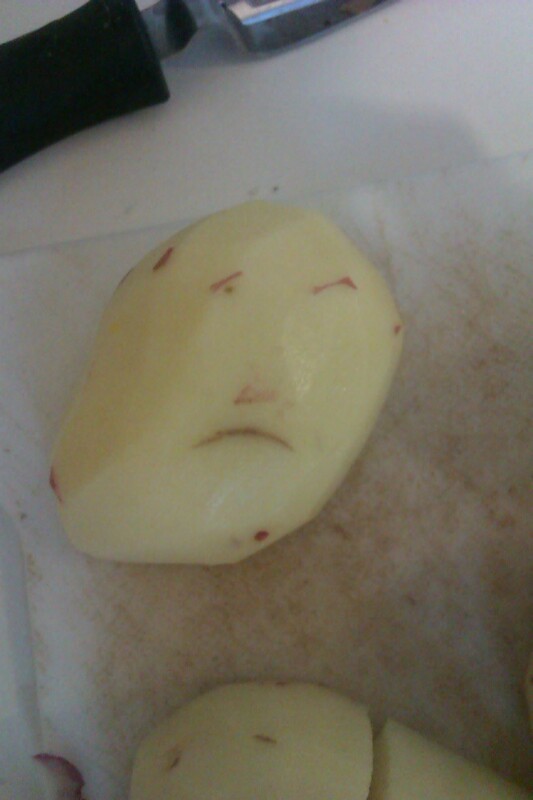 Having peeled some potatoes for a roast dinner, I was about to get chopping when one of them caught my eye. There appeared to be a sad face staring out from the freshly peeled surface. I took a quick photo, said a potato prayer and proceeded to chop, boil and roast him and his brothers. He went to a good home. 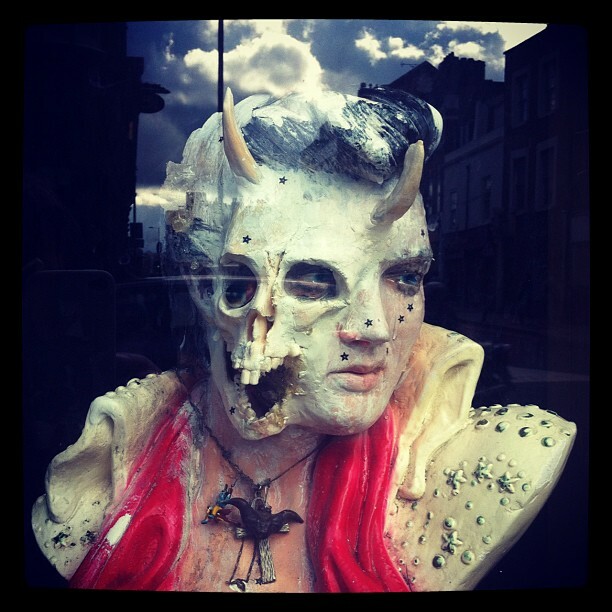 This photo was taken by my girlfriend Gemma, in an abandoned butchers shop in Stoke Newington, London. This sculpture is meant to represent Elvis’s dead twin coming through. 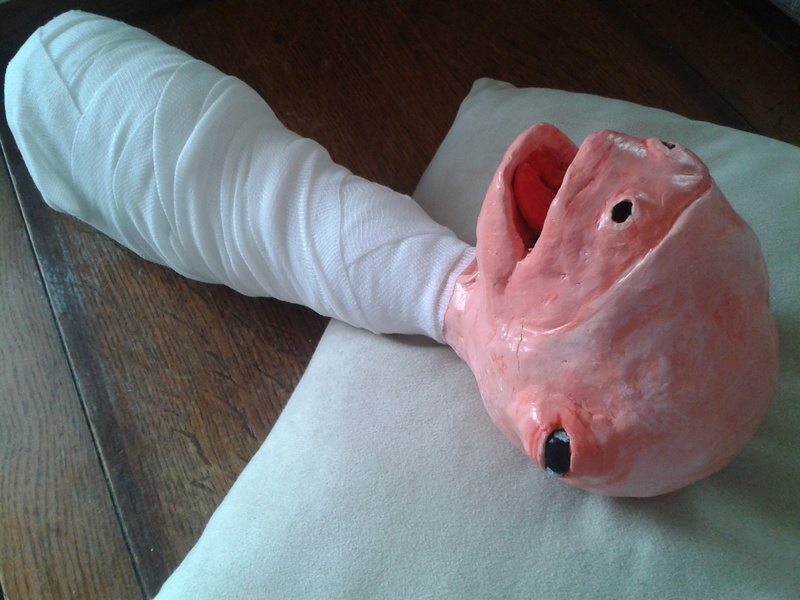 I made this sculpture after seeing the David Lynch film Eraserhead.